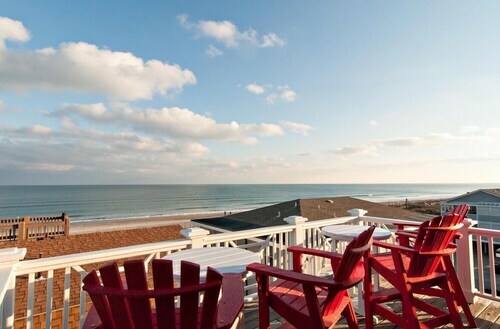 Nestled on the beach, this Wrightsville Beach hotel is just steps from Johnnie Mercer's Pier and Wrightsville Beach. Wrightsville Beach Museum of History is 0.9 mi (1.4 km) away. 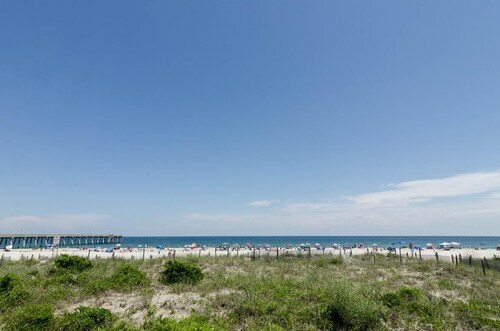 Nestled on the beach, this Wrightsville Beach resort is within 3 mi (5 km) of Wrightsville Beach, Johnnie Mercer's Pier, and Wrightsville Beach Museum of History. Airlie Gardens and Mayfaire Town Center are also within 6 mi (10 km). Situated in Wrightsville Beach, this property is steps from Johnnie Mercer's Pier and Wrightsville Beach. Wrightsville Beach Museum of History is 0.8 mi (1.3 km) away. This family-friendly Wrightsville Beach vacation home is located on the waterfront, within 1 mi (2 km) of Johnnie Mercer's Pier and Wrightsville Beach. Wrightsville Beach Museum of History is 0.9 mi (1.5 km) away. Situated on the waterfront, this property is steps from Johnnie Mercer's Pier and Wrightsville Beach. Wrightsville Beach Museum of History is 0.8 mi (1.3 km) away. Nestled on the beach, this Wrightsville Beach vacation home is within 1 mi (2 km) of Johnnie Mercer's Pier and Wrightsville Beach. Wrightsville Beach Museum of History is 1 mi (1.5 km) away. Situated on the waterfront, this vacation home is steps from Wrightsville Beach and Johnnie Mercer's Pier. 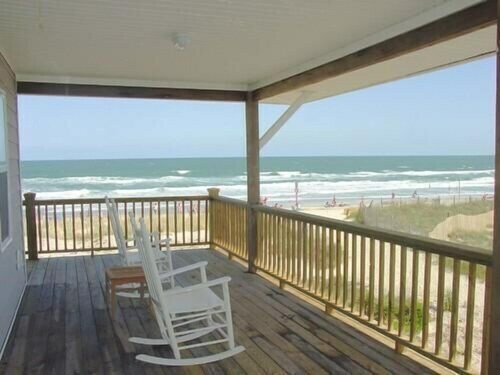 Situated on the waterfront, this property is within 1 mi (2 km) of Johnnie Mercer's Pier and Wrightsville Beach. Wrightsville Beach Museum of History is 0.9 mi (1.5 km) away. 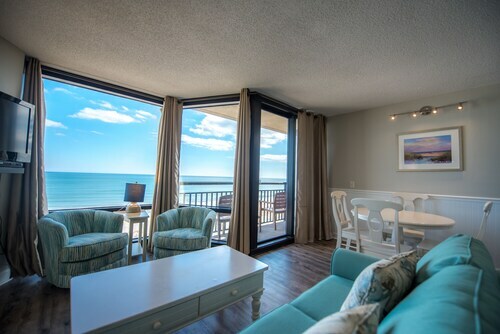 Oceanfront Haven: Sweeping Oceanfront Views, Breathtaking Sunrises!! 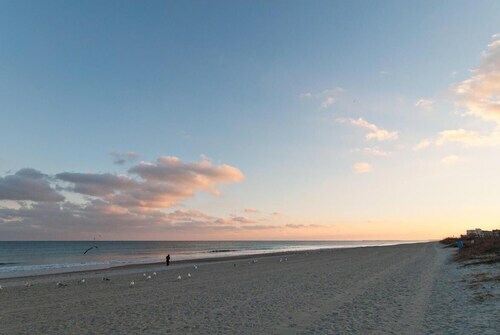 Making plans to visit Wrightsville Beach and searching for accommodation close by? It is situated in Wilmington. If you're unfamiliar with that name, it's 120 miles (193 kilometers) outside of the capital of the state, Raleigh. You will have 4 possible accommodations to select from nearby. 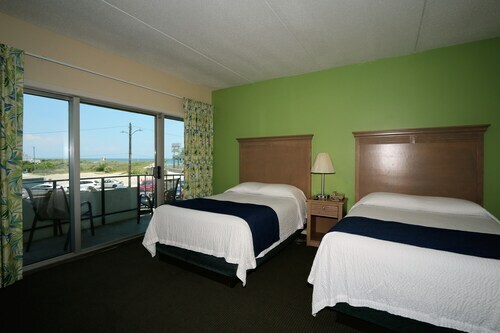 You can plan on spending a couple of nights at the Holiday Inn Resort Wrightsville Beach and Shell Island Resort - All Oceanfront Suites, both within 2 miles (3 kilometers) of Wrightsville Beach. The area's value solutions provide guests with a great standard of service while keeping rates as affordable as possible. The Sleep Inn and the Extended Stay America Wilmington - New Centre Dr are worth a shot. Once you're done at Wrightsville Beach, take a five-minute walk to Cafe Del Mar for a quick bite, a caffeine hit or a cold drink. There are more extensive eating options also close by at Shark Bar and Kitchen. Anyone who is fond of an invigorating drink or two should also pay a visit to The Palm Room, yet one more short stroll away. Johnnie Mercer's Pier is a wonderful setting to watch the world pass by. Keep an eye out for bird life, admire the calming sight of any passing boats or just enjoy the view. Water sports fans will enjoy a trip to Wrightsville SUP, where there's plenty of activities to get you on the water. Savvy shoppers may want to head straight for Aussie Island Surf Shop, a prominent store which people visit for. Learning more about the history of a region at Wrightsville Beach Museum of History might help you to become more invested in the land and its citizens during your vacation. If you love being out on the water, check out the various activities at Cape Fear Paddleboarding. How Much is a Hotel Room in Wrightsville Beach? Hotels in Wrightsville Beach start at $144 per night. Prices and availability subject to change. Additional terms may apply. 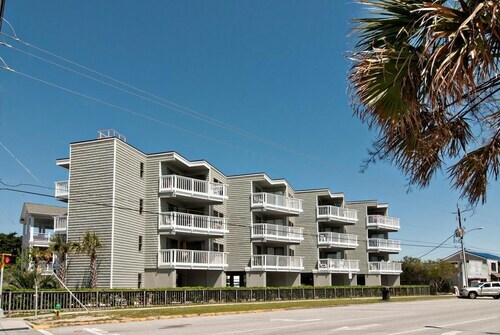 Nestled Between the Beach & Banks Channel- Walk to Pier, Restaurants & Grocery! 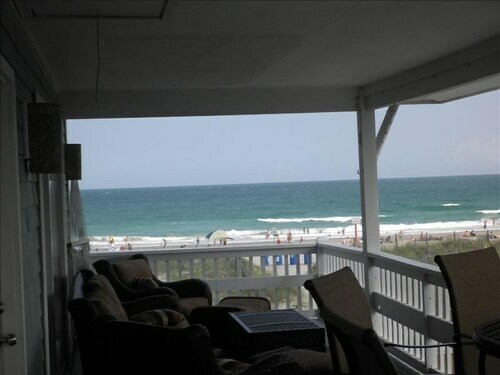 Oceanside: Just Steps TO THE Beach! !